A dark action thriller with an old Nazi unleashing new evil, Marathon Man unspools a tale of conspiracy laced with torture, brought to life by a phenomenal cast in top form. A fatal traffic accident forces the notorious Nazi Dr. Christian Szell (Laurence Olivier) to come out of his hiding place in a South American jungle. In New York, Thomas "Babe" Levy (Dustin Hoffman) is a university graduate student of history, and also a long-distance runner training for the marathon. His brother Henry "Doc" Levy (Roy Scheider) pretends to be an oil company businessman but actually works for a secretive government "Division" headed by Peter Janeway (William Devane), responsible for collaborating with surviving Nazis. The father of Babe and Doc, a distinguished historian, killed himself when his sons were children after being hounded by Senator McCarthy's communist witch hunt. Szell travels to New York to try and retrieve a fortune in diamonds. Meanwhile, Babe starts a relationship with foreign student Elsa (Marthe Keller), while Doc runs into a series of strange murders and finds himself the target of assassination. Szell is paranoid about his safety, and attempts to eliminate everyone who may threaten him and his hidden treasure. This sets him on a collision course with Doc, and ultimately Szell kidnaps Babe to try and uncover Doc's intentions. Thrust into a world he knows nothing about, Babe can only rely on himself, and unexpectedly calls on his running skills to survive a one-man wave of Nazi terror in the heart of New York City. 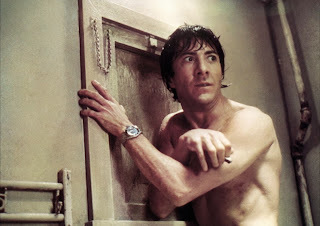 While on close examination the plot of Marathon Man is full of some rather large holes, director John Schlesinger assembles a bleak film filled with a growing sense of purely corrupted villainy. The William Goldman script, based on his own book, maintains a strong focus on the characters of Babe, Doc and Szell. The scenes of violence and confrontation, when they arrive, carry a high potency factor due to the elevated blood and gore quotient, but also thanks to the hard investment in character development. Laurence Olivier and Dustin Hoffman elevate Marathon Man from a potentially hokey thriller to a superior, engrossing experience. Olivier is eerie as Dr. Szell, a surviving Nazi with expertise in dental torture. Olivier's performance is cold, emotionless and mechanical in its intensity, an old man incongruously conveying single-minded determination to get his hands on his treasure. Everything that made the holocaust a terrifying travesty is packed into his eyes, including the callous disregard for any amount of human suffering. Hoffman, in his last performance as a student-type, is all about the fragility that resides in a scarred soul. Babe (the nickname an obvious reference to a man-child) has never really moved past his father's suicide, and Hoffman's performance is a complex condensation of a growing up process that now has to catch up with history. Hoffman tentatively unleashes Babe to chase his first romance, and he will soon have to deal with learning the true identity of his brother and just how much evil lurks out in the real, non-academic world. 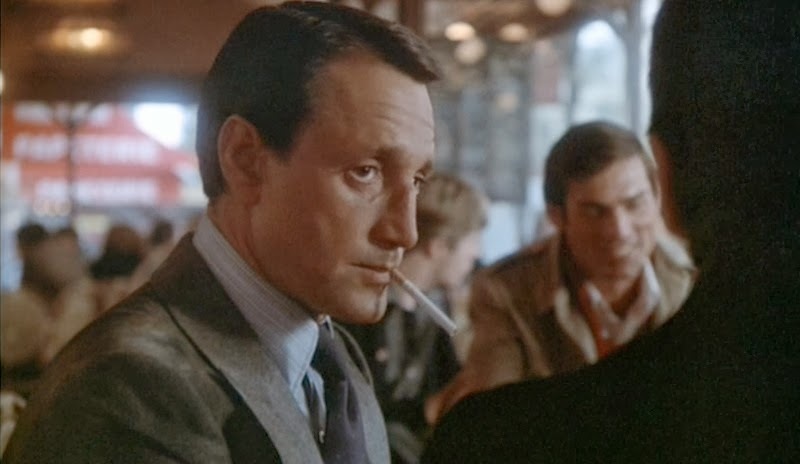 Roy Scheider rounds out the principal cast, and he gets a James Bond-type role, an agent in the shadowy world of obscure government departments but here toiling on unglamourous and distasteful files. Doc has dealt with his father's death by embroiling himself into a world of subterfuge, and Scheider exudes a world weariness emanating from a life of too much lying to himself. William Devane is perfect as the distastefully oily head of the "Division", Janeway thoroughly committed to his job, having long since lost the edge between right and wrong. 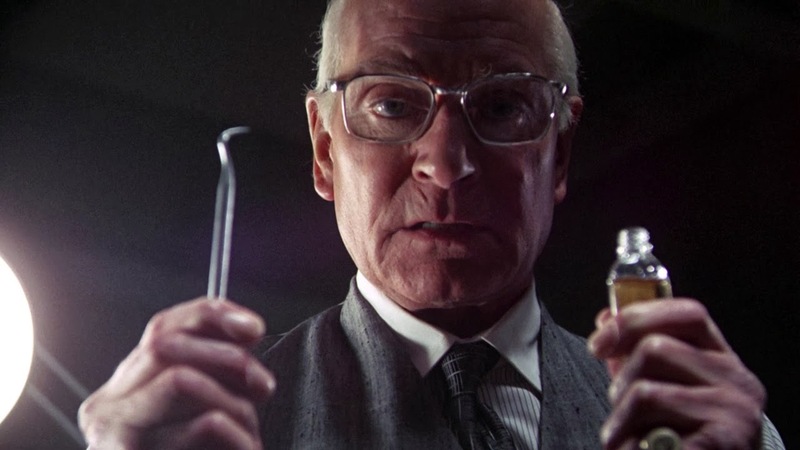 Marathon Man is most famous for elevating the dentists chair to a full-on torture experience, Dr. Szell repeatedly asking the cabalistic question "Is it safe?" as he readies his dainty dentist tools to inflict unimaginable pain. The unspoken horror is that no city with a rampaging and tenacious Dr. Szell can possibly be safe.